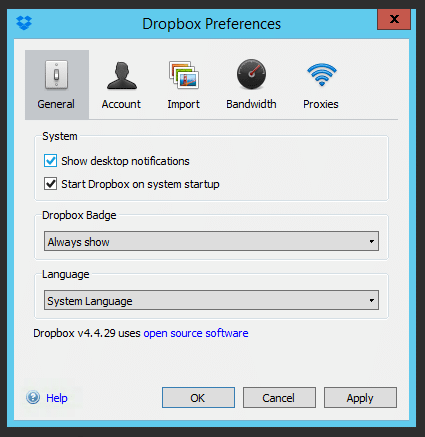 The following instructions are for disabling the Dropbox desktop alerts in Windows 10, Windows 8.1 and Windows 7. These instructions are based on the latest Dropbox app as at 21/06/16 and may change slightly as Dropbox updates it’s application. Slightly different in Windows 10 / latest version of Dropbox, but it is still under the General Tab under the “Notify Me About” section. 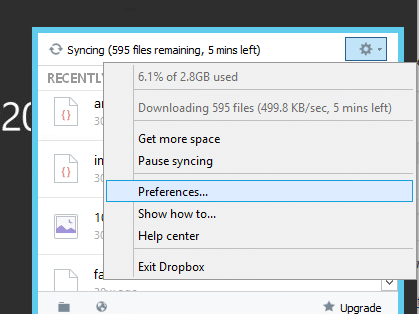 Uncheck “Synced Files”.